Do you have a business with a conference room and need to display data for all to see in meetings? 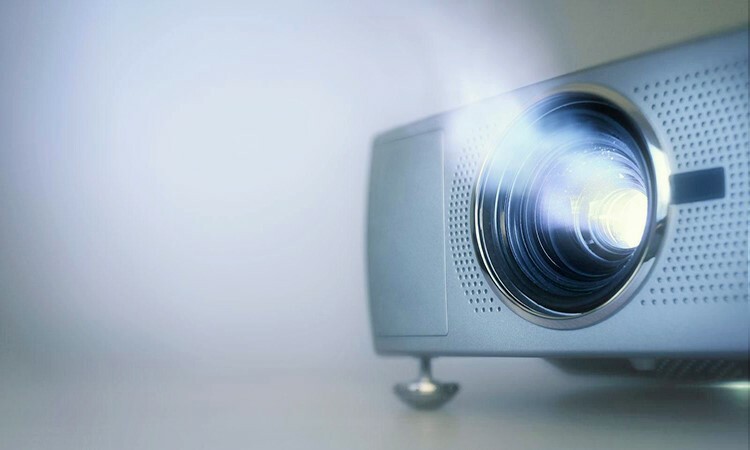 Why settle for an average model if you can buy the best projector for your conference room in 2019. To help you find a premium one we have compiled a list for you to look at here. With one of these projectors, it will make your presentations engaging and interactive in the meetings leaving you without any embarrassments. With us, you can compact devices making it easy to travel. 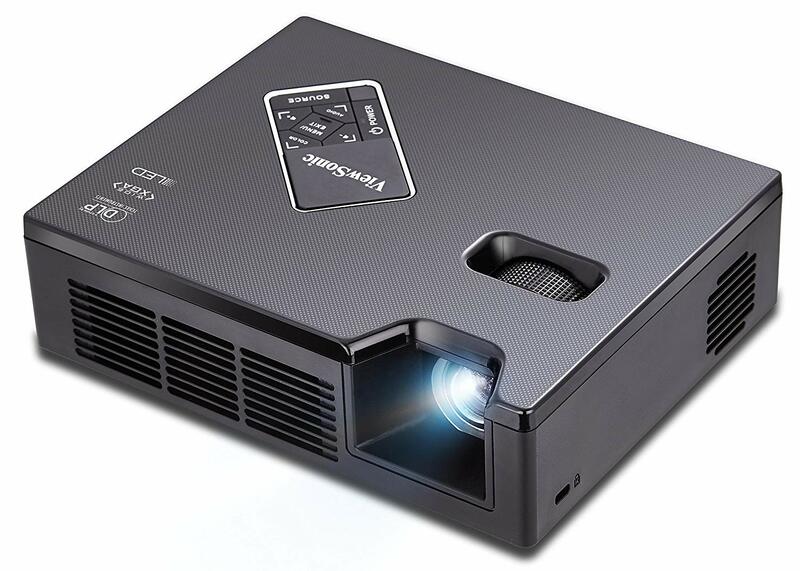 Furthermore, you can find full-featured projectors with a wide range of ports and high-end image reliability as well. What Do You Plan to Show? How vital is Portability for You? What Resolution Should The Projector Have? Is Contrast Ration Serious or Not? How Do You Want To Connect The Projector? Which Image Technology Do You Need? Do You Need 3D or Audio Support? Do You Need to Display Big Images in a Small Room? What image resolution do I need? What is lens shift adjustment? Can you use your projector with Chromecast? Which Business Projector Do You Like? Now you can take it even further with the throw distance provided and so much more. Therefore, how do you choose the right one for your business needs? You do this by answering the following questions. On the projector, there are four primary images you can display data, games, photos, and video. Any of the projectors reviewed can show different formats, but it all comes down to how the device handles the image. Therefore, before choosing one consider how well the unit can handle the task. For a business, you will need one that displays presentations, PDF files, and spreadsheets compared to one handling full-motion videos. A fact is if you select one that can handle videos, well it will be able to display photos as well without any complications — another option to find a model that can handle video and data well at the same time. 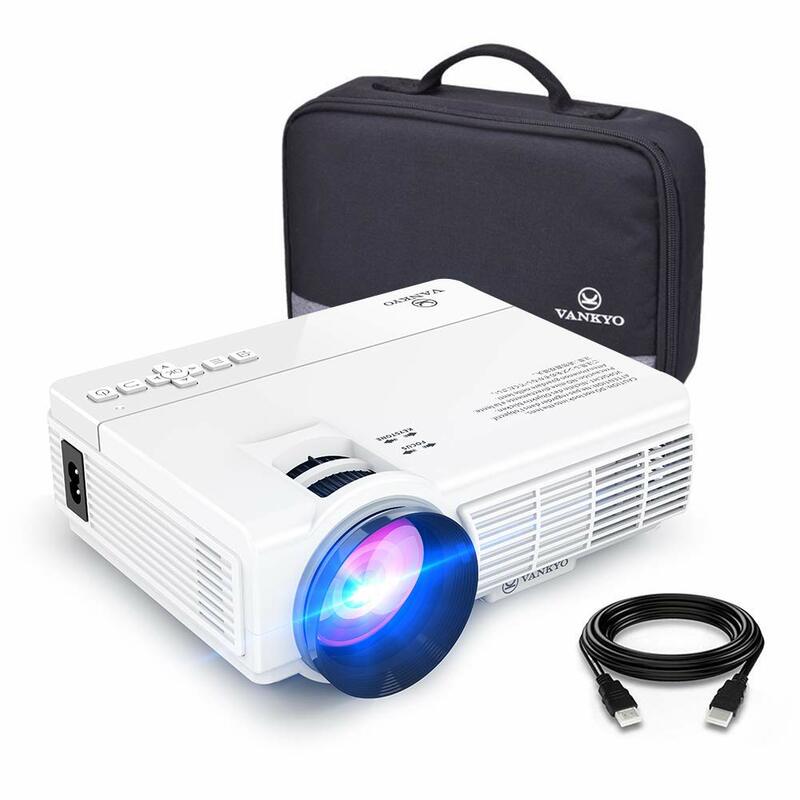 Do you travel a lot and need to take the projector with you? If you do, then look for one with a reasonable size and weight. You can even find some pocket-sized models that are fantastic to use with presentations. Whether you plant to connect the equipment to a computer, game box, video gear and more you need to match the native resolution to the resolution you expect to use most often. The native resolution is the number of pixels available in the projector’s display. You can find specific models available that can scale images up or down to their native resolution, but you can lose image quality in the process. If you plan to use it with data images, consider how detailed the imagery should be. For example, when used with a PowerPoint presentation, you may only need an SVGA 800 x 600 pixels. If you prefer more detailed descriptions, pick one with a higher resolution of 1080p or higher. 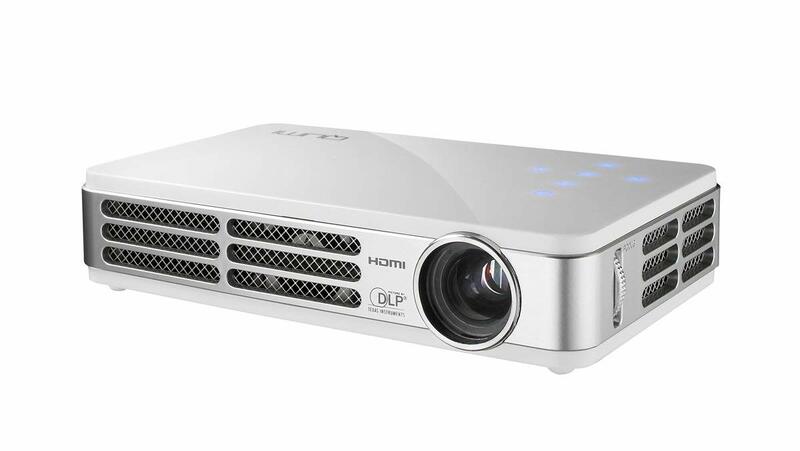 These days you can get 4K projectors with horizontal resolutions with 4,000 pixels and expensive to buy. For a data projector, you can look at the WXGA native widescreen resolution with a display of 1,280 x 800 pixels. Alternatively, you can select a 1080p model and is great to use if you do create the presentation on a widescreen monitor or notebook. How Bright Should the Projection Be? Depending on where you plan to use the device a model with 1,000 to 1,200 lumens is ideal to use in a dark room. While a 2,000 to 3,000 lumen, one is perfect for a well-lit location. What’s more, it also depends on how small or large the place is as the brightness tends to be less than the provided clarity. Contrasts ratio is the relation between the intensity of the brightest and darkest region the device can produce. With a higher contrast, the more vibrant the colors are with detail shown in the dark areas on the screen. The majority of projectors come with an analog connector to use with a computer. Furthermore, it has a composite to use with video equipment. However, if your PC has a digital output, you may want one with a digital connection included. On the other hand, if you plan to use it with video sources instead pick one with HDMI ports. There is some available supporting you with MHL (Mobile High-Definition Link.) While some of the latest models offer you Wi-Fi connectivity and USB ports. Not all of the devices offer you 3D or audio capabilities. However, if you do need audio with your presentations choosing one with sound is your best option? Another leading-edge function for most projectors today is 3D and best to make sure it does work with your three-dimensional source. If you travel a lot and not always sure, where you will be setting up your projector, you may need one with a short throw to cast images at a short distance? 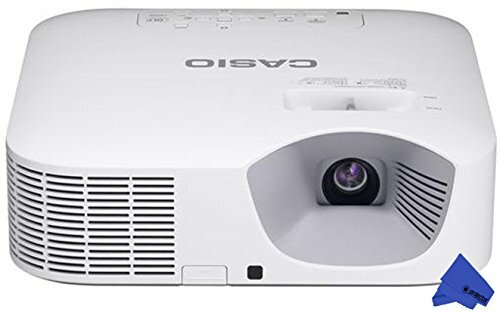 These projectors do not come cheap and tend not to do well in larger spaces. Further, you need to place it on a flat surface with a stable screen to prevent distortion. 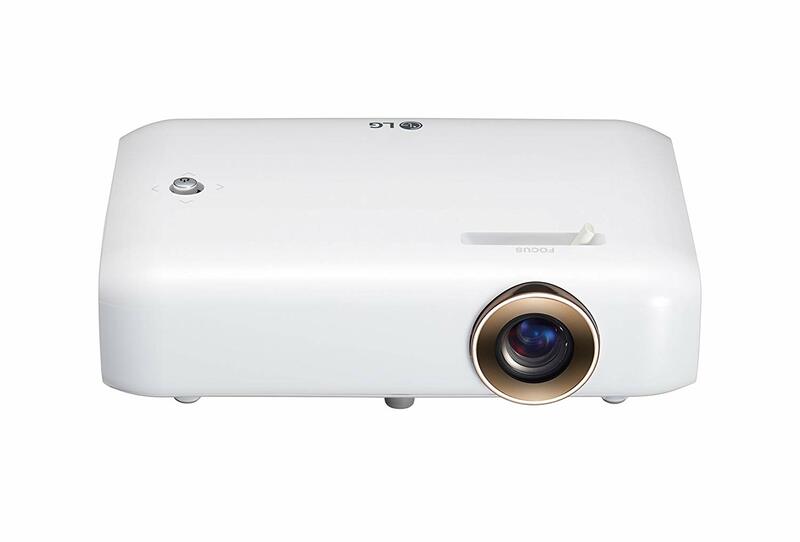 The PPX4010 is a small yet perfectly formed projector with a DLP projection system. The resolutions 854 x 480 and has a brightness of 100 lumens with a contrast ratio of 1500:1. The projection distance is 0.5 meters to 3.7 meters, and it comes loaded with a mini HDMI and VGA video inputs. The device is lightweight and small measuring 70 x 70 x 20mm. With the pocket size, you can take it with you on your travels, but it does lack HD sharpness and loudness. Therefore, it is best to use it with an external speaker system. The unit sells at an affordable price and superb if you are starting a new venture. The setup is easy and draws power using the USB. Furthermore, with the brightness, you can use it in a bright-lit room but is not as bright as your full-size projectors on the list. 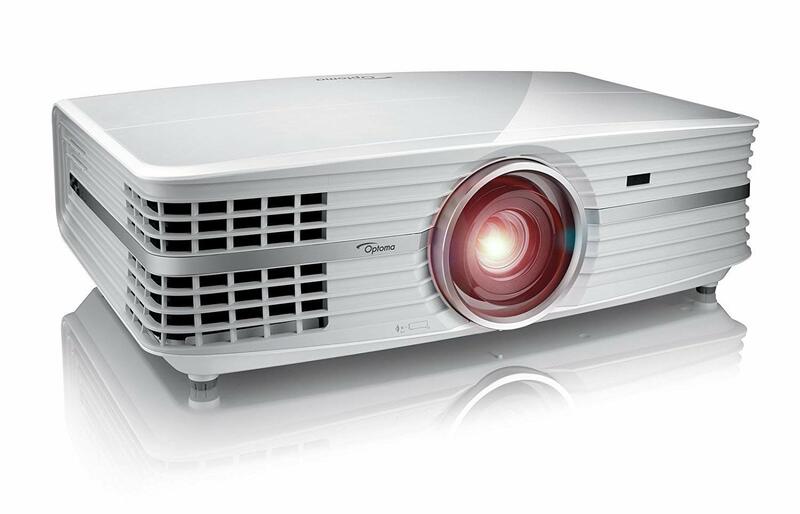 Here we have an unbelievable business projector that is similar to the previous PICO model. The unit weighs 0.97 lbs and fits into a briefcase or your pocket. For traveling to present meetings abroad, it makes for an ideal companion. You can connect it with your laptop, and the lamp life is up to 30,000-hours. What makes it unique is the 60-minute battery you can recharge. Furthermore, it has built-in speakers and supports composite, VGA, HDMI, and USB connections. Alternatively, you can use it with various operating systems and ideal for business presentations and media sharing. The native resolution is 720p HD with a maximum input of 1080P and ideal for gaming, movies, and home use. Included you get a remote for easy navigation. Here is another pocket projection at an affordable price the ZenBeam E1. The projection system is DLP and has a resolution of 854 x 480 with a brightness of 150 lumens. The contrast ratio is 3500:1 and comprises of HDMI and MHL video inputs. The designs small and look gorgeous. The resolutions low and it has a short light output and can project images up to 120-inches in size. Furthermore, you do not need a power outlet with the equipped 6,000mAh battery. The rechargeable battery provides up to five hours of power and reasonable for its size. Further, you can use it as a power bank if you do need to charge your phone. The device has a versatile use and setting it up is a breeze. For small to medium-sized businesses, the ViewSonic is the best conference room projector. The device has a DLP projection system with a resolution of 800 x 600. The brightness is 3600 lumens with a contrast ratio of 22000:1. You get ample video inputs comprising of HDMI, S-Video, VGA, and Composite. The unit is very bright and user-friendly to use. The resolution is low and weak when used in larger surroundings. Unfortunately, it falls short of a full HD display but is vibrant enough to view images, spreadsheets, and reports on a projection screen or wall. There is a SuperEco mode to help dim the brightness up to 70%. The unit is energy efficient and helps prolong the lamp life at the same time. You can use it to project presentations up to 120-inches from up to 15 feet away. The image size varies from 30 to 300-inches, and you get a remote included. For a no-fuss projector at an affordable price, you can look at the BenQ model here. The equipment is portable and boasts a brightness of 3,200 ANSI lumens with a 13,000:1 contrast ratio. You can view bright and clear images in the meeting room no matter the lighting condition. The XGA resolution provides impressive results as you do not need to sit in a dark room to view a presentation on the wall. You can connect it to a network using the LAN connection. Alternatively, you can connect it different devices with the HDMI ports. The native resolution is 1024 x 768, and the lamp use is up to 10,000 hours. 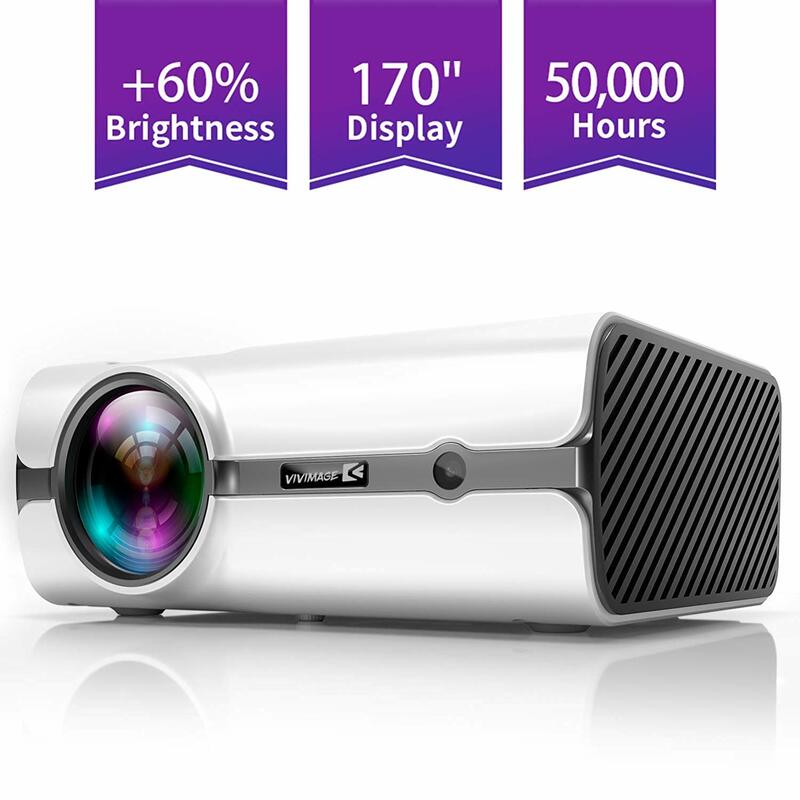 Do you need a sleek and lightweight projector to use in the conference room? Pick the PowerLite 1761W model with built-in Wi-Fi. The color brightness is 2600 lumens and offers a fantastic widescreen presentation. The unit weighs 3.7 lbs and stands 1.7-inches tall. For delivering HD video quality, the WXGA widescreen resolution is a necessity to have. The setup is instant and compatible with the Epson iProjection app. Furthermore, it comes with auto vertical keystone correction making the process of setting it up simpler. You get brighter colors with reliable performance with a ratio of 16:10. For connecting to different devices you digital, video connection, and HDMI connection using one cable. You can optimize the image size whether far away or close to the screen with the zoom lens. To save power it has instant auto on/off and you can pause the presentation as it goes into sleep mode. 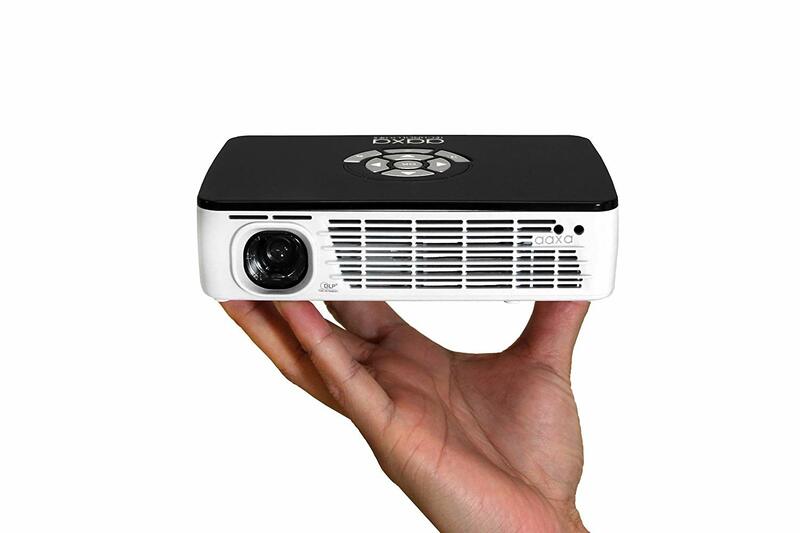 Here we have another tiny, affordable conference room projector to use in small spaces. With the 13-ounce weight and 1.4-inch height, it is perfect for traveling. The lumens are 450 and come with WXGA resolution and DLP technology. You can connect it with devices using USB, HDMI, and VGA. Furthermore, you can use it optional with a dongle for wireless connectivity. The sound might not be remarkable with the 1-watt speaker, but you can connect it with an external speaker system. Further, you can set it up on a tripod or use the remote control to run the presentations. The display is colorful while the colors are brilliant with a full on/off 10,000:1 ratio. The LED bulb lasts up to 30,000 hours used in normal mode and needs no replacement. 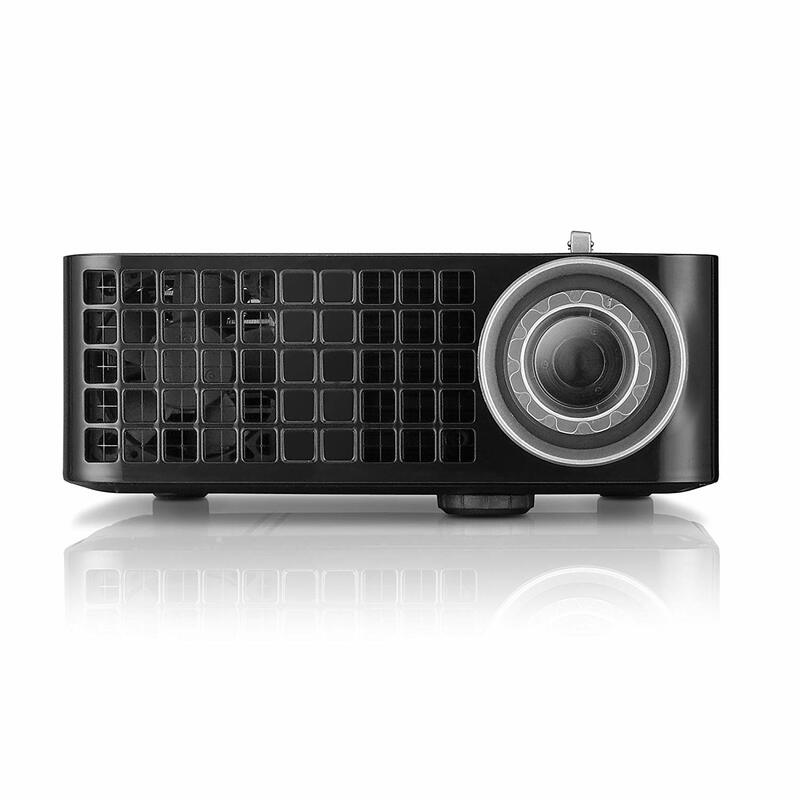 For the best projector for conference rooms, you need the ViewSonic PA503W here. The price-performance is fantastic as you get 3,600 lumens with a native WXGA resolution. Setting up the device is intuitive with a user-friendly design. Furthermore, you get loads of connectivity with HDMI, VGA, composite and audio out. For saving energy, there is a SuperEco mode to consume power up to 70%, and you get up to 10,000 hours lamp use. To top it all, you get a leading three-year warranty on the parts and one year on the lam. However, when used in the eco mode you can get up to 15,000 hours of lamp life. Do you need a model to show PowerPoint slides and spreadsheets? Make sure to get this unit for your next meeting, as the data is bright enough in a well-lit room. 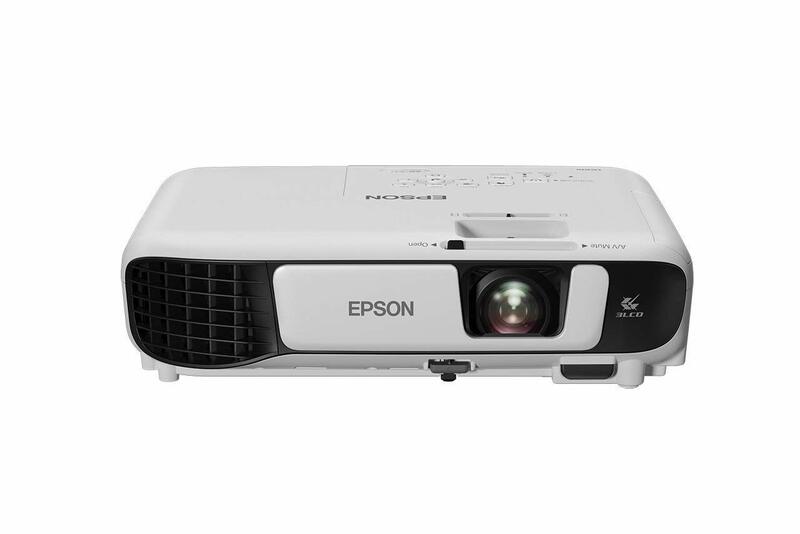 For a projector to use in the conference room with excellent image quality, the Epson is ideal to use. The device boasts a WXGA resolution and gives you more resolution compared to an SVGA. You can see the data displayed in HD and is fast to set up. You can use it with different external devices to view videos, photos, and PowerPoint presentations. Furthermore, it is MHL compatible to use with the Smartphone or tablet and charges them while used. The color brightness is 3200 lumens to use in well-lit rooms. You can use it with wireless connection and only weighs 5.3 pounds making it lightweight enough to take anywhere. You can connect it with the HDMI, MHL, and wireless support making it versatile to use when traveling. Another benefit is that you do not need to take your laptop with you saving you loads of space and money going abroad. The lamp lasts up to 10,000 hours to maximize the viewing time. Epson uses the best 3LCD and comes with auto vertical keystone correction. Furthermore, it has a manual easy-slide horizontal keystone correction as well with QR Cod Quick Connect. 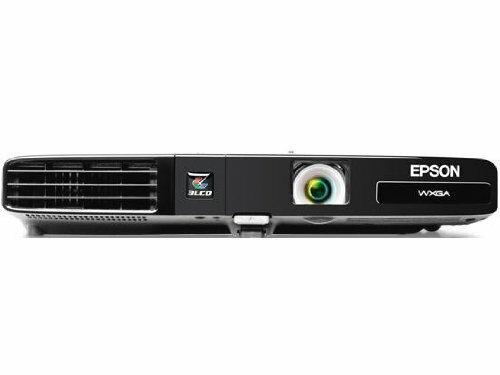 The next business projector from Epson offers you a three-LCD projection with more color brightness to see data displayed in a well-lit room. For accurate color display, it has 3000 lumens of color brightness and offers you SVGA resolution to project basic presentations with graphics. You get a remote control with E-zoom button to zoom into certain portions of images on the screen. You can use it with different media players as it supports HDMI connectivity at the same time. The device has an affordable price with lightweight construction and installs easily. The lamp lasts up to 10,000 hours of use and powers off quickly to pack up and go. Furthermore, it comes with a sleep mode and mute without the need for turning the projector off. 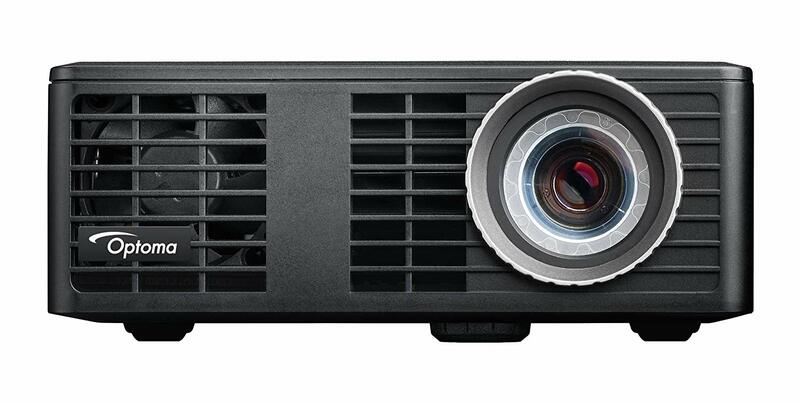 The ML750 has a compact LED projection that offers you the best performance for a meeting. The device weighs 1 pound and measures 4 x 4 x 1.5-inch. The brightness is 700 ANSI lumens and equipped with micro SD and USB ports. Furthermore, it has a media player built in for viewing data directly from an external USB drive. The full WXGA resolution is ideal to use with HD video using the HDMI connection, and it is 3D capable. The power consumption is low and the LED lifetime is up to 20,000 hours. The projector fits in the palm and takes up little space in a briefcase making it a fantastic travel companion. Furthermore, it has a native office viewer with a built-in speaker, and you can connect it with a sound box. You get MHL connectivity to share data from your phone. Included you get a universal I/O cable, AC power cable, remote control, carry bag, and quick start guide. The DLP technology comes from Texas Instruments giving you razor sharp pictures with incredible brightness. The contrast ratio is 10000:1. Further, you can transform a tiny screen into a 100+ display. You can also mount it in any orientation and starts playing automatically. On the other hand, you can even program it to turn off after a time with the sleep timer. 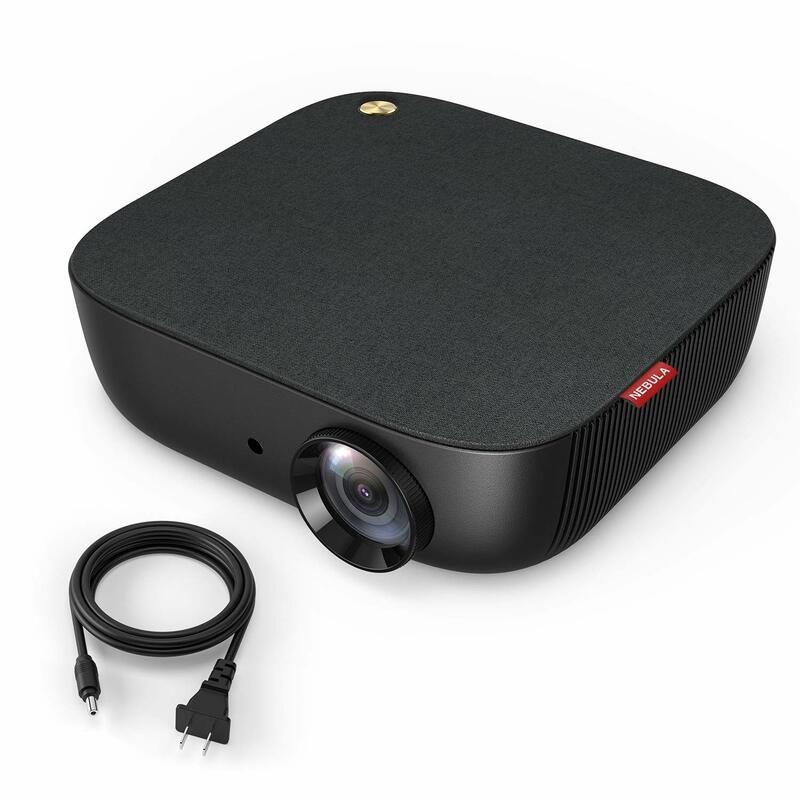 For a compact and wireless projector to use in meetings, you need the Minibeam from LG Electronics. The device is a fantastic business projector and perfects if you are on the road most of the time. You get plenty of connectivity options to stream from different devices even your Smartphone. However, while it does offer an HD resolution is does not have a micro SD slot. Furthermore, with the built-in TV tuner, you can even watch the news. You need no power outlet to use the unit as it is equipped with a rechargeable battery and comes with Bluetooth connectivity to project sound. The projection system is RGB LED with a resolution of 1280 x 720 and equipped with 550 lumens. The contrast ratio is 10000:1 and comprises USB, Composite, RBG, and HDMI connectivity. The battery lasts up to two hours of use and the lamp 30,000 hours. 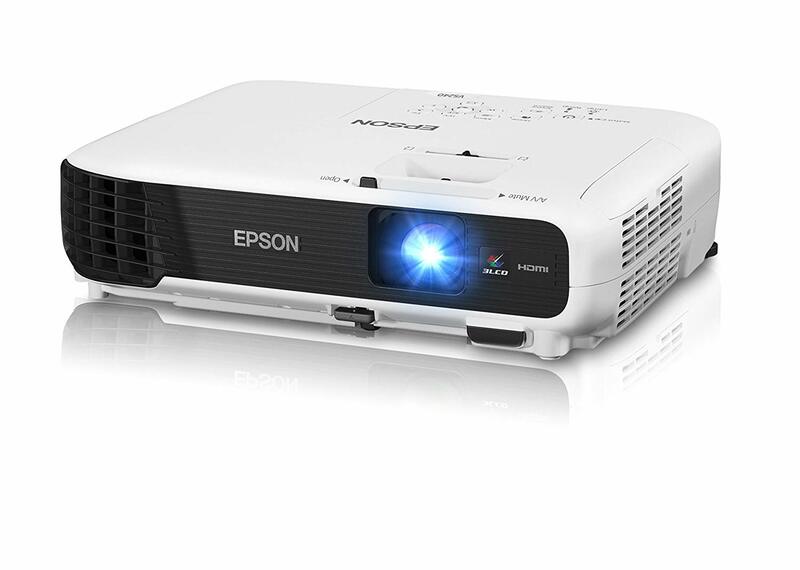 For a portable projector with a widescreen display and ample connectivity options pick the VS355 model from Epson. You get a high definition quality to present all at the meeting with outstanding colors. The device is compact and delivers 3,300 lumens of brightness and color. You can use it in a dark to well-lit rooms without any problems. The WXGA resolution offers you twice the detail compared to an SVGA model. The setup is simple, and it supports digital connectivity with HDMI. Whether you need an indoor or outdoor projection system, the HD is a top model to watch movies and do presentations. The image is clear and offers you vibrant picture colors without the rainbow effect. You can show detailed spreadsheets, videos and more. Furthermore, you can mount it to the front, rear, or ceiling depending on your needs. Alternatively, it has a 360-degree image reversing function giving it the versatility to use anywhere. The unit comes with keystone adjustment and a focus ring to rotate left or right leading to a clearer picture. The brightness is high at 4200 lumens and comes with a widescreen WXGA resolution with a 5000:1 contrast ratio. Further, it supports 1080P video input to use with the latest smart devices. There is an HDMI signal passes and includes an LCD Optical Engine with superior LED brightness. On the other hand, it also comes with a 25 level zoom function to adjust the image size to suit the area of projection. For sound, it is equipped with a built-in 10-watt speaker to give a life-like cinematic experience. For traveling to meetings, it needs no laptop as you can connect it using the USB flash drive and supports up to 32GB USB flash drives and 1TB hard disk drive. The lamp offers up to 50,000 hours and needs no replacing saving you a lot of money in the end. The screen display is enormous and projects up to 200-inches with a distance up to 16 feet. As mentioned it has HDMI with other connection ports such as AV, Dual USB, VGA, Analog, and audio output. So go ahead and check, the model out, one thing’s sure it will not disappoint you. 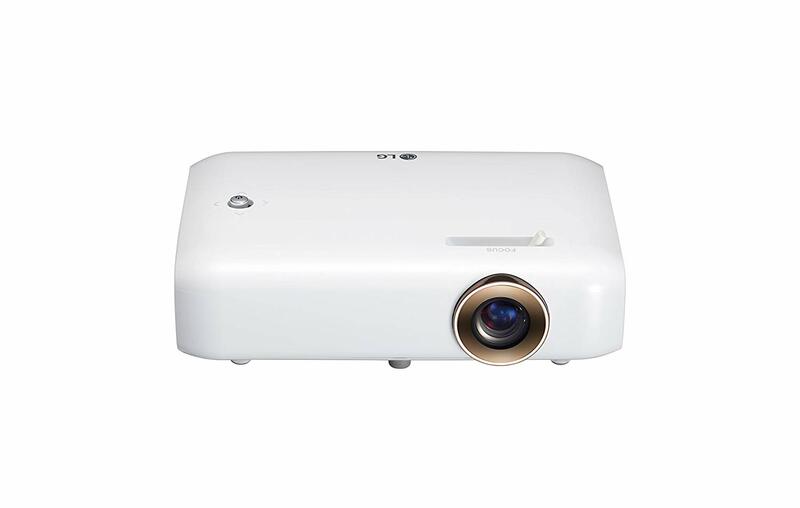 Here we have another small projector for conference use, and it offers a large projection at a reasonable price. The LCD projection system presents you with an 800 x 600 resolution with 3,300-lumen brightness. The contrast ratio is 15000:1 and loaded with different video outputs including HDMI. With the small and portable construction, you can take the device with you anywhere, but it does not offer high definition display. You can see data displayed well when there is ambient light present, and the projection size is up to 300-inches. The unit weighs 6.61 pounds and measures 9.8 x 3.5 x 11.8-inches. Here we have another projector from LG with a desktop construction offering you 550 ANSI lumens brightness. The device has a DLP display with 720p resolution and a contrast ratio of 100000:1 to view images up to 100-inches in size. The invention is not too big and weighs 1.43 pounds and should be ideal for placing in a car and travel to your meeting. Included you also get a remote to use with the unit. 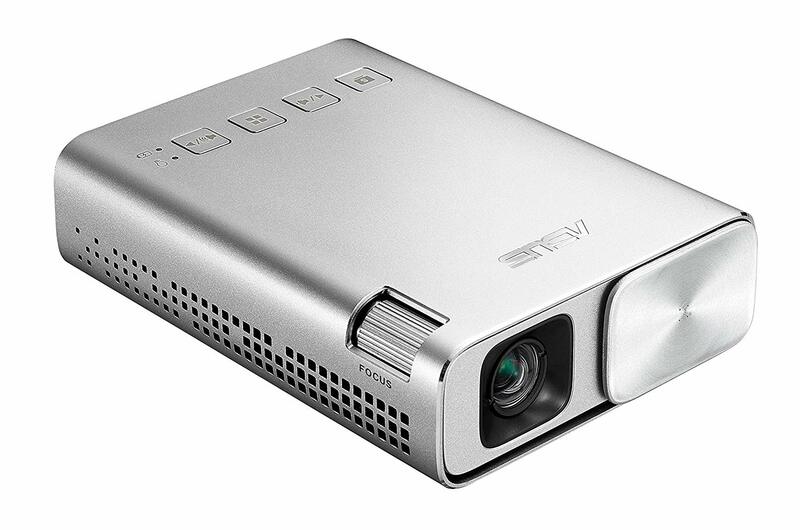 For a fantastic mini projector to place in your briefcase, you need the PLED-W800 model. The machine measures 7 x 5.5 x 2-inches, and you can take it anywhere. Included you get an HDMI cable, power cord, remote with batteries, carrying case, and CD-ROM. With the LED display, it uses less power and saves you loads of money in the end. You can use it with most devices and comes with a pre-drilled hole to mount on a tripod or leave standing on the table. The feet are adjustable for the best projection on a wall or screen. The WXGA resolution offers an excellent image display and gives you a clear picture from 2.5 feet. You can use it up to 10-feet away from the screen as well. The built-in speaker is not the best, but you can connect it with an external speaker using the audio output jack. You can control the device using the remote and adjust the picture orientation, aspect ratio, and more. Furthermore, it also comes with an SD card slot, and you can connect it with a USB device making it versatile to use. Even the controls are sophisticated and offer you a multimedia menu. When it comes to the best projector for conference room use, pick the UHD60 from OPTOMA. 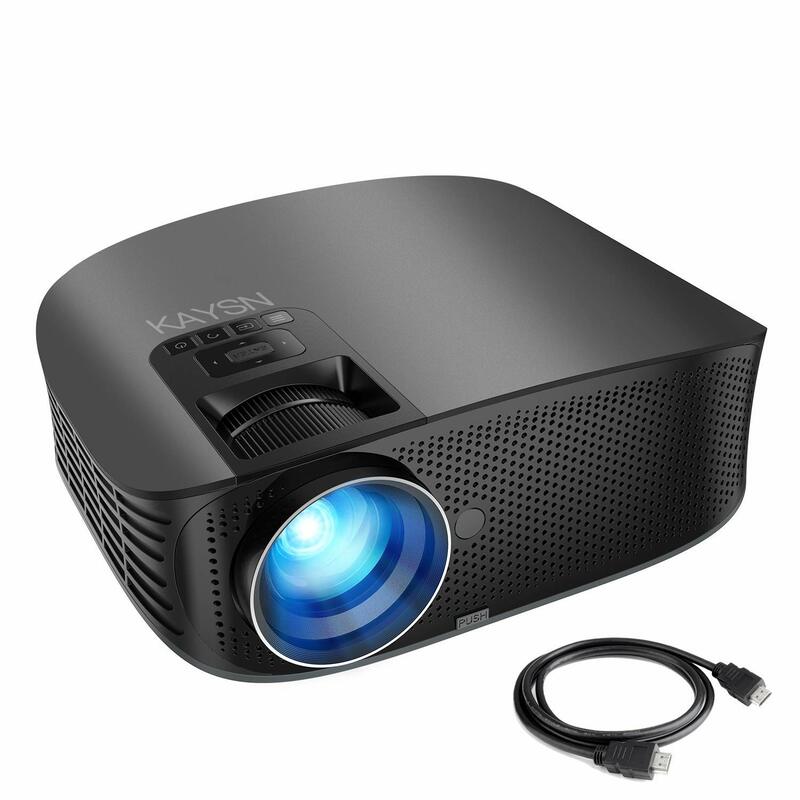 You get a state-of-the-art projector to use at home or in the office. With the 4K UHD resolution, it delivers sharp images and is High Dynamic Range capable. Furthermore, it has a vertical lens shift with a 1.6X zoom and easy to install. However, to get the most out of it, you need to plan and make some additional expenses, especially at home. You can ceiling mount it and may not be a great travel companion but ideal for stationary use. Setting it up is a breeze as it offers a large amount of zoom to cater for different viewing applications? However, it does not come with keystone adjustments and need to place it in a vertical position. The images are stunning and offer a fantastic color in a dark room. Another downside for the price is it does not support 3D, and it is limited to 8bit when used with 4K @60. Further, if this is not such a big problem, as you will be using it at the office these functions usually are not needed. Whether you do sales or technical presentations, you need the VIVITEK business projector to use in light to dark rooms. The reason you never know where you are going to set the pocket projector up. You get 500 lumens of brightness, and you may need to refocus it after it warms up, but remains an ideal device for traveling. Even the noise is soft once the fan kicks in, and should not disturb anyone in the room. You can hook it up with the HDMI cable or use it with your smart devices. The machine has an HD LED projection and only weighs 1.1 pounds. Furthermore, it has a DLP Pico chipset to display vibrant colors even when used wireless. With the EH500, you get a bright and highly detailed display with the 4,700 lumens brightness. The contrast ratio is 10000:1 for all to see a gorgeous image and text in meetings. You can use it with large screen applications even when there is fine image detail. The image size is up to 300-inches, and the projection distance is up to 32 feet away. Further, it has loads of connection ports and supports PJ-Link, LAN, and more. While the projectors for conference rooms reviewed on the list are the best, you can always consider the following models as well. With the projector, you get a low maintenance lam free device with up to 10,000 hours of use. You get increased connectivity to use with different applications, and it is mercury free. Furthermore, it comes with a five-year warranty included. With the combined laser and LED, it reduces the power consumption by up to 40%. You can switch between XGA and WXGA to use as a short-throw to the large-throw projector and perfect to use on whiteboards as well. The device is ready to use with the on/off function and takes little time to warm up. The design is dust-resistant and comes with a lens cloth included. The lumens are 3,300, and the contrast ratio is 20,000:1 with digital zoom and vertical keystone correction. The throw distance is up to 33 feet with an image size of 300-inches. You get different inputs to use with various devices but do not come with a wireless connection. 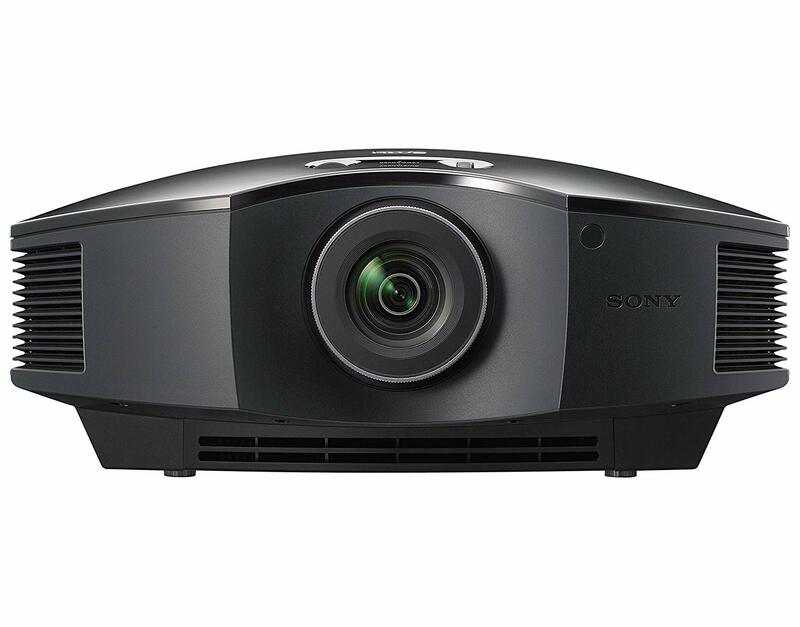 A new contender in the projector market to use in the conference room is this model from Sony. You can enjoy a 1080p image with vibrant colors and suitable to use in the office or home. With the SXRD chips, it helps enhance the color accuracy, and the 1800 lumens of brightness gives a clear picture in ambient light. Furthermore, it comes with a 1.6X zoom to place the machine in the back of the room without it losing focus. Included you get a remote control, lens cap, power cord, lens cloth, cleaning kit, HDMI cable, and surge protector. Alternatively, it displays full HD and supports 3D. With the ultra slim design, it may not have a Pico size but is still ideal for taking with you to a meeting. The machine comes with a wireless LAN adapter making it portable enough to take anywhere. Furthermore, it comes with adaptable two time’s optical zoom with a throw ratio of 1.2 to 2.3:1. Alternatively, it is equipped with a hybrid LED/laser light source that lasts up to 20,000 hours and offers low power consumption. The brightness is 3000 lumens and comes with a DLP chip with WXGA resolution. Further, you can use it in full HD as well. There is no waiting time for the device to warm up with direct on/off function. Additionally, it comes included with a microfiber lens cloth. 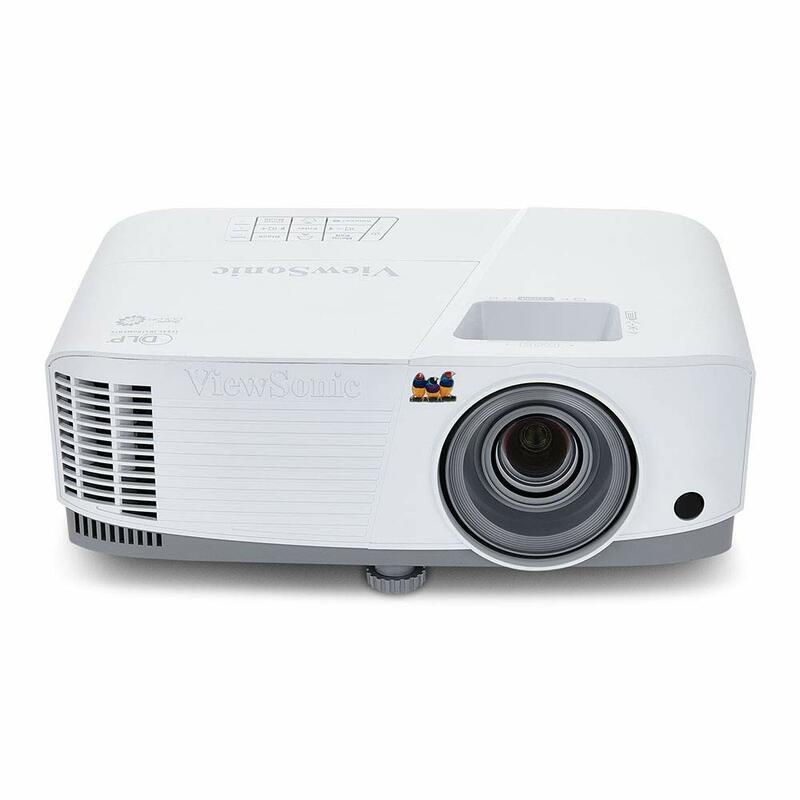 With the portable projector, you get a remarkable performance with the LCD technology providing up to 2400 lumens brightness. Further, it supports a 1920 x 1080 resolution with a contrast ratio of 2000:1 ideal for business and home use. You can project an image up to 140-inches from up to 14 feet away. In the compact enclosure, it offers you the superior bass performance to watch movies and play games. The projector provides a uniformed distribution of light for an authentic cinema experience. The device is multimedia compactable to connect with the smart TV, Smartphone, tablet and more. You can even hook it up with the PS4 or Xbox One. Included you get a three-year warranty as well. 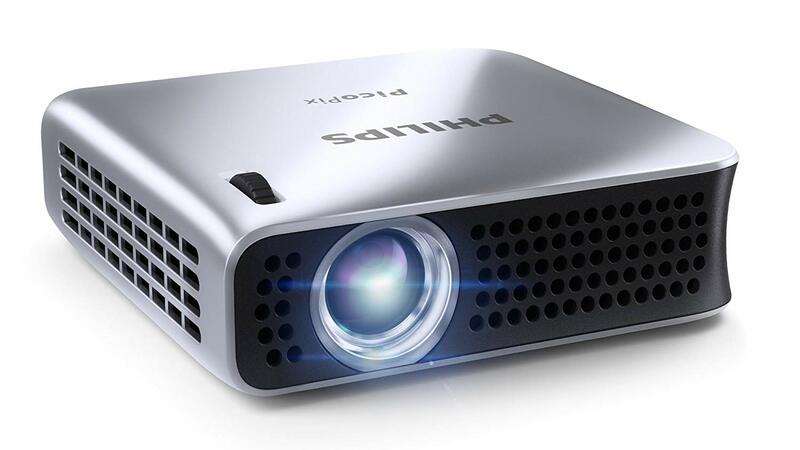 With the next projector for conference room use, you get a superior watching experience. The lighting VANKYO has upgraded with the latest LED technology and support a 1920 x 1080 resolution. The contrast ratio is 2000:1 and ideal for office and home use. You get multimedia connections to use with your Smartphone, tablet, television and more. You can watch the image with up to 176-inch size from 16 feet away making it suitable for any large conference room to use. Further, the fan will not bother attendees as it works super quiet. Alternatively, you get a three-year warranty included. With the NEBULA, you get full HD quality images to use in any room. The device is recommended to use in low-light conditions for the best viewing experience. Further, it comes with built-in speakers comprising of dual drivers for a deep, immersive bass sound. The machine has vertical and horizontal keystone correction for a clear picture from any difference. You can connect it to most devices using loads of ports from USB to HDMI. The product is UL certified, and the lamp use is up to 30,000 hours. 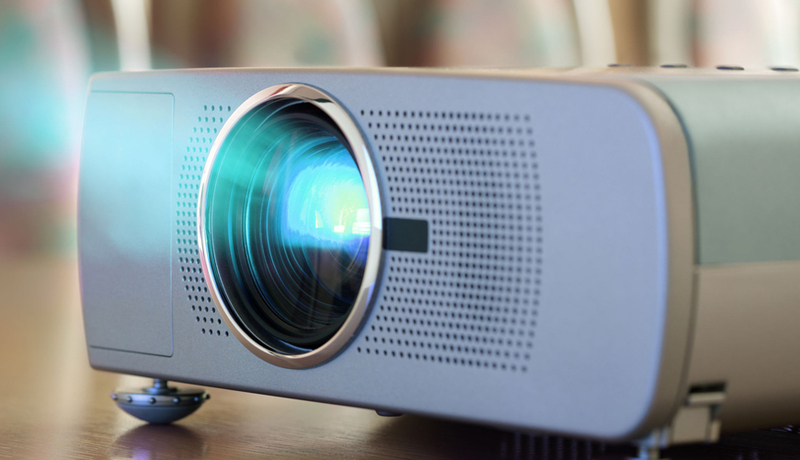 The higher the resolution, the more detailed the image displays on the screen and can cost more when buying a projector with a higher resolution. The measurement is the difference between bright and dark parts of the picture when projected. With a higher contrast, you get imagery that is more detailed on the screen. However, with ambient light present it does reduce the contrast. The brightness manufacturer’s measure in lumens can range from model to another and are the color light output the projector can handle. It is a technical term and is when the primary colors split into three colors blue, red, and green. What happens is that each shade beams towards its LCD panel to form an image. With the process, the three primary colors combined and offer high picture brightness and color accuracy. Here suppliers use a 3LCD laser light instead of the traditional lamp. This is when you divide the distance from the lens to the screen using the width of the picture to provide you with the throw ratio. All it does is tell you how close you can use the projector to the screen to get a clear image. Usually you place the device in front of the screen to viewing a perfect image, but often you need to put it higher or lower. With the lens shift adjustment, you can set the machine off-center, vertically, or horizontally making it more flexible to use. When a projector is not pointing at the screen, the images become obscure or distorted. With the keystone correction, it compensates for the distortion automatically to make sure the image display correctly for viewing. Depending on the model you buy, it is possible to use it with Chromecast, and you may need a USB dongle or HDMI port for wireless streaming. No matter what projector you like each of the conference projectors offer you versatility with fantastic features. You can pack it in your bag for a business trip with a lightweight and compact design. Alternatively, you can connect it with your laptop, Smartphone or a tablet. Depending on the one you buy, you can use each one in different conference rooms by placing them close or far away from the screen. Some you can use to watch presentations directly on the wall while others offer you the versatility to use it at home as well. So go ahead and pick the best projector for conference room use here on the list today—you will not be disappointed. Pick the best projector for conference room use here with us today. You will be surprised how well each of these devices can handle presentations at your next meeting.